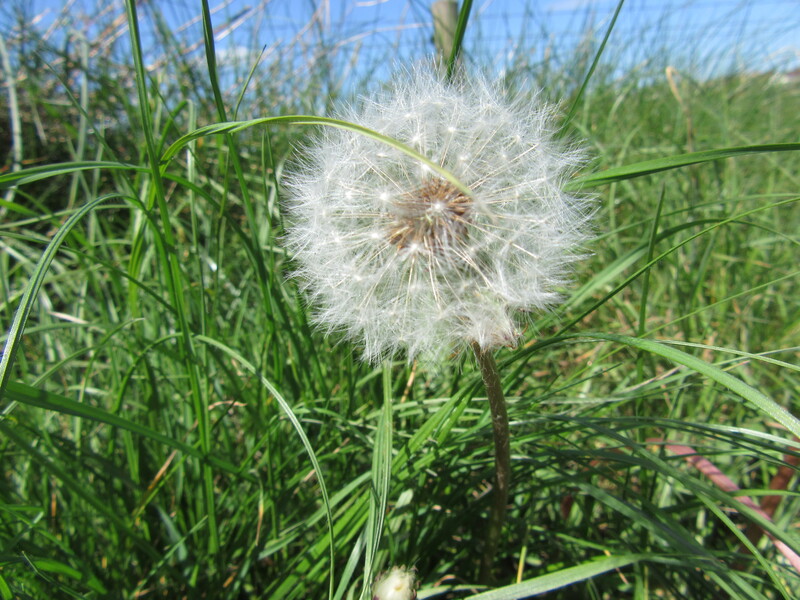 A dandelion from Hawkesbury Upton. Dandelions are featuring big in my life this year and I was delighted to get some great snaps. Sadly for our pathological love of sentiment, but fortunately for anyone who wants to be more creative, contrary to the heart-rending, fist-pumping, misty-eyed and mystical picture painted by the likes of Dead Poets Society, creativity is not about a tenderly handled flame of passion or a spark of something divine. It is, almost entirely, a numbers game. In Originals, his brilliant tour through the inner and outer worlds of the world’s most innovative thinkers, Adam Grant tells us that these stars in our cultural firmament have one thing in common. They fail more than other people. 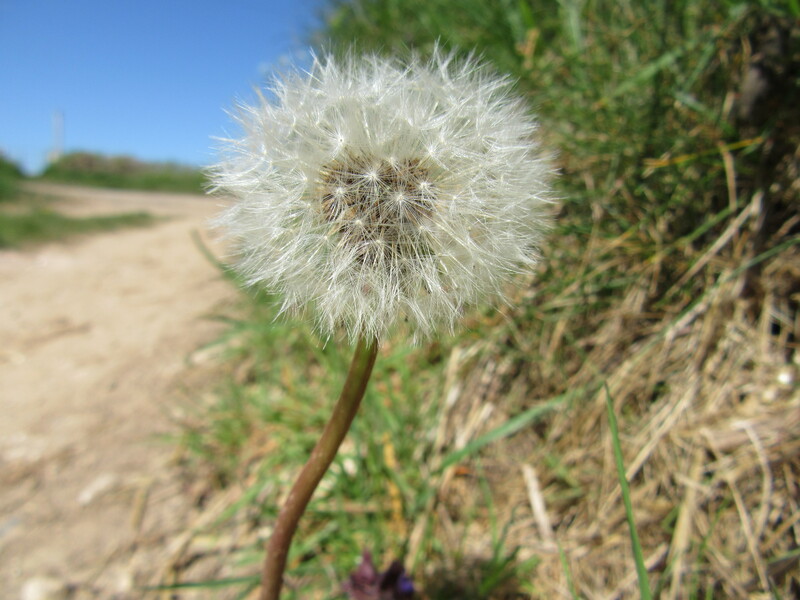 In his 2013 speech to London Book Fair, Neil Gaiman acknowledged this same trait with his call for publishers to apply the dandelion method to their trade, trying, as he put it, a thousand things in order that 100 might take seed. Creativity and failure cannot be separated. Brilliant ideas emerge from a primordial soup that is given its potency by sheer weight of numbers. It is a soup of ideas in which most will, by any definition that considers them in isolation, fail. Yet seen together it is precisely the presence of so many failing ideas that enables the soup itself to succeed. This simple formula expresses Hubble’s Law. It is used to calculate the velocity, V, at which the Universe is expanding. Whether you look out through a radio telescope at the stars or in through a microscope at the structure of graphene or around you at the swell of the sea or the iridescent dance of the bird of paradise or the endless rippling retreat of the sands or the smile on a lover’s face, every single thing you experience today, or look back at across the ocean of time or forward to the death of the last star is possible only because of the precise value of the terms of this equation. And it emerged not, sorry, through divine fiat but by a weight of numbers so utterly unimaginable it defies metaphor. The theory of the multiverse, brought to us by Hugh Everett, the physicist best known to many as the father of the lead singer of the indie folk rock band Eels, tells us it is sheer processing power that makes the cosmos the greatest innovator there has ever been. It states that every possible universe there could have been has, in fact, occurred. And an immeasurable number of those where the value of V was just slightly too high or slightly too low to support the beautiful complexity of our own have, simply, collapsed in on themselves or floated away into the infinite wastes. The problem we have as creatives is that we don’t have billions of years or trillions of possible universes to play with. We have a few decades, lives limited by numerous external factors, and the strictures of circumstance. We cannot generate all of the ideas and test each one. We cannot run longitudinal experiments on random mutations. There just isn’t, as it were, the longitude to do it in. If we as creatives pursued nature’s super-top-optimal strategy of try everything then there is every possibility we might miss the answer to providing clean, renewable energy to whole nations because we are too busy exploring what might happen in imaginary worlds where at 6.43 pm on a wet grey Tuesday all of the broccoli becomes James Corden. Even in a field of human endeavour where the numbers game really matters, let’s say literature, our place is much more likely to be part of the avalanche of the average and sub-average that is the precondition for the few soaring works of originality that occasionally break the surface. But might it be possible for us to make a genuinely creative difference in our own lives? I’m not sure I have an answer for that but I want to give the closest I have. What we need to find is, to go back to a cosmological turn of phrase, a goldilocks zone where we do just the right amount of failing and just the right amount of succeeding. Creativity occurs at the intersection of deep knowledge and broad knowledge. This might sound esoteric but the ideas are there in two of the most commonly referenced pieces of self-help you will find: Malcolm Gladwell’s 10,000 hour rule – that to gain true expertise in a field you need to spend 10,000 hours working at it, and Josh Kaufmann’s complementary rule that you can get pretty good at most things with 20 hours of highly focused study. Deep knowledge of a subject means that you know the workings of the small field in question to the extent that consciously or unconsciously you start to become aware of the flaws and fissures within it, to have a feel for its landscape. But deep knowledge also means that you know something so well that you have internalised its “rules”, have developed a blindness to fresh perspective. Broad knowledge brings a voracity and enthusiasm and furious connection-building that sees everything as new, free from preconception. But it also leaves you navigating in the dark, lacking an atlas of its semi hidden pathways and pitfalls. It is in the constant change of focus, the zooming in and zooming out of perspective, the bringing of deep knowledge to play on new fields and constant newness on an intimately known terrain that the possibility of truly meaningful innovation will most likely and most profoundly occur. So now we know where in the creative cosmos to look for our goldilocks zone, how do we use that information? What are creativity’s radio telescope and mass spectrometer? For each of these techniques you will need a list of things. You can add to this list at any time, and you can add any thing. Write each thing on a separate card. These cards will become the most important tool on your creative journey. For each exercise you simply need to draw two cards and start. The collision method, for want of a better term, works rather like the Large Hadron Collider. Take two different things. Speed them up. Smash them into each other and then look at the resultant mess to see what you’ve got. Eliding is simply one form of colliding, a very basic but fun to practise one. Eliding two objects literally means sticking two objects together by lopping a bit off each and gluing them together. Basically what, in less literary surroundings, we’d call a cut and shut. A great exercise for practising this is an elaboration of the previous one. For each object on your list, list 6 of its specific characteristics, (you can write these, numbered, on the card). And then pick two objects, and for each object pick one of its characteristics using a die. And then imagine a new thing, one that has each of those characteristics – in what way might this new thing, this chimaera-object improve upon the two existing things? How might it be able to do stuff that is completely new? These techniques might not seem to be very useful. Who actually needs to know what, say, a half coffee cup half spinning jenny would look like, or what hidden uses it might have? But that is to miss the key point. Learning to think creatively isn’t about usefulness. Usefulness comes later. Usefulness comes when you immerse yourself in your deep knowledge, and then go wandering through the varied landscape of your broad knowledge, applying these techniques on every step of the journey like the world’s greatest absurd mash-up ninja. Then again, maybe it never comes. It certainly won’t come until you have conquered the fundamental art of being OK with making a fool of yourself.